A simple, yet charming design, these 14K gold crescent moon stud earrings from Apples of Gold Jewelry are beautiful and fun to wear. 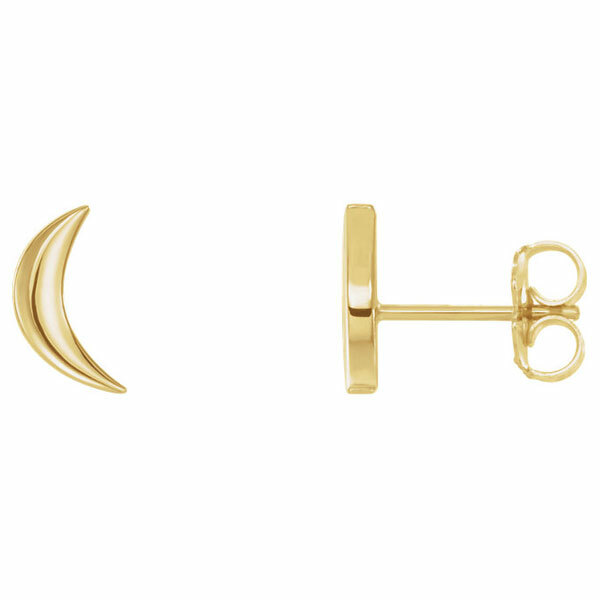 Made from the warm color that comes along with 14K yellow gold, these stud earrings are in the shape of a crescent moon. Sized at 9mm by 4.82mm (3/8" by 3/16") each, these earrings will shine whether you choose to wear them during the day or at night for special occasions. The friction post and back closures keep them in place during wear. 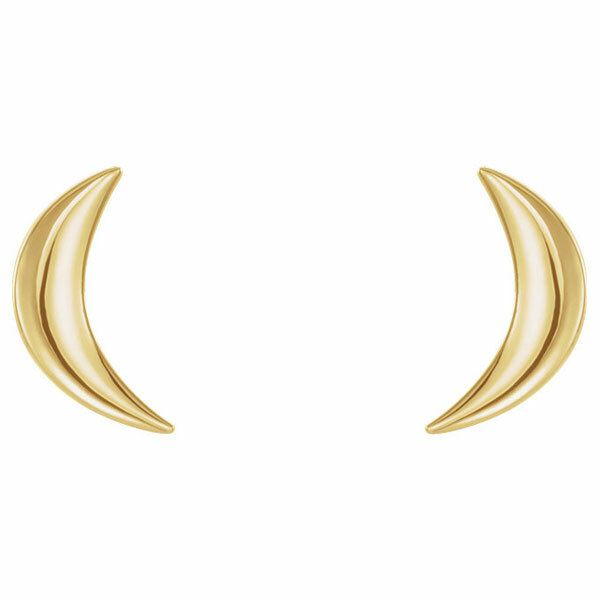 We guarantee our 14K Gold Crescent Moon Stud Earrings to be high quality, authentic jewelry, as described above.